This page is for the original game. For the remake, see Tomb Raider: Anniversary. For the reboot, see Tomb Raider (2013). 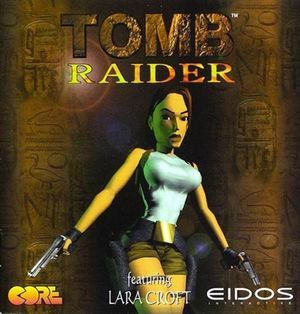 Use Tomb Raider Automated Fix or Tomb Raider Retail Fix to run the game on modern systems without DOSBox. PC version is missing some of the content of the PlayStation version, particularly some music tracks and higher quality cutscenes. Use the Retail/Automated Fix or GliDOS to restore the content. See Run the game without DOSBox. Includes Tomb Raider II and Tomb Raider III. DOS version pre-packaged with DOSBox. Includes Tomb Raider II and Tomb Raider III. Tomb Raider: Unfinished Business (Tomb Raider Gold) is a complete edition with four exclusive levels. This version is not sold digitally, however the levels were later released as freeware for those who own the base game. Comes with additional useful features. Download Tomb Raider Automated Fix. Extract the executable anywhere on your PC and run it. Follow the installation instructions after pointing to your Tomb Raider 1 installation location. Decide on any of the included improvements, including higher quality cutscenes from the PlayStation or remastered cutscenes. Edit tombati.ini and tombub.ini in the patches folder for advanced settings. Launch dosbox.exe for a custom launcher that provides a choice between Tomb Raider 1 and Tomb Raider: Unfinished Business. Launch tombati.exe to play the main game directly. Launch tombub.exe to play the bonus chapter directly. Create any folder on your PC and name it to whatever you wish. Copy the DATA and FMV folders to the folder you've created. For the Retail version, look for these folders on the CD-ROM. For the GOG.com and Steam versions, extract GAME.GOG with UniExtract to get these folders. Install Tomb Raider Retail Fix. Go into Patches and open tombati.ini. Do the same for Unfinished Business\patches\tombub.ini. Make a copy of your Tomb Raider shortcut, open its properties and edit the target-field by replacing the single occurrence of dosboxTR_single.conf with dosboxTR_UB.conf. Finally, rename the shortcut to something meaningful, e.g. "Tomb Raider - Unfinished Business", and run it. Edit the DOSBox configuration file (dosboxTR.conf for digital versions). Go to the [glide] section. Braid Mod adds the strangely longtime missing braid to Lara's hair. Also includes a patch for the final secret in game as it originally wasn't counted due to a glitch. Secret patch available standalone here. Crocodile Distance Patch fixes the crocodile in the Tomb of Tihocan level so it can't kill you from over a distance or while you're in other parts of the level. Rerendered soundtrack is a high quality rerender of the soundtrack, requires GliDOS or the Retail/Automated Fix. Unfinished Business with added music triggers makes UB levels more atmospheric with proper music trigger events. TombATI/GLRage runs ATI 3D Rage on Windows 10. John Capon's textures retextures all levels to much higher details. Works with both the original DOS version (through DOSBox) and the Windows version (the Automated/Retail Fix version above). Use Tomb Raider Retail Fix. Toggle with Alt+↵ Enter (when using DOSBox) or use Tomb Raider Retail Fix. Use Tomb Raider Retail Fix then force in the graphics card control panel. 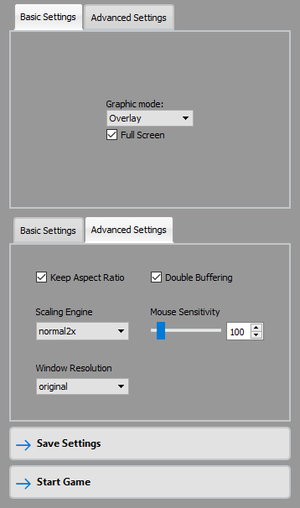 Frame rate is capped at 30 FPS (PowerVR version was 60 FPS). Uninstall DOSBoxnoalttab. You can now use Alt+Tab ↹ and other task-switching commands. A port of GliDOS's hires texture packs for TombATI (the "Tomb Raider Fix" at the top of this article) is available here. ↑ 2.0 2.1 File/folder structure within this directory reflects the path(s) listed for Windows and/or Steam game data (use Wine regedit to access Windows registry paths). Games with Steam Cloud support may store data in ~/.steam/steam/userdata/<user-id>/224960/ in addition to or instead of this directory. The app ID (224960) may differ in some cases. Treat backslashes as forward slashes. See the glossary page for details. This page was last edited on 8 April 2019, at 07:00.